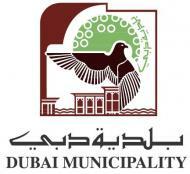 Dubai Municipality was founded in 1954 commencing its activities with a cadre of seven employees undertaking simple tasks to keep the city clean. It has developed significantly since then, evolving over the years and taking on multiple tasks in line with the expansion of the Emirate of Dubai, and currently it has 11,000 employees working in 34 departments. The Leisure Facilities is one such department spearheading state-of-the-art attractions like the Dubai Frame – an architectural landmark in the skyline of Dubai, standing tall at 150m; Dubai Safari, the new home for more than 2500 animals from all over the world, aiming ‎to be one of the top ten zoos internationally and a leading tourist destination ‎worldwide and the Children's City, UAE's first edutainment city devoted to children, where they can investigate, explore, play, discover, and learn about the world in which we live. The Leisure Facilities Department oversees various other projects like the upcoming Quran Park and Astronomical Observatory and supports the Municipality as a leading driver of growth and evolution of the Emirate of Dubai.